We've developed a comprehensive core set of policies and procedures applicable to all New Zealand primary, intermediate, secondary, and area/composite schools, that is tailored for each school. Our experienced educationalists and expert procedure writers work in collaboration with over 940 schools to make sure you won't have to write another policy or procedure from scratch again. Your school can subscribe for an annual fee to have access to our core set of documents. Once you've signed up, we'll ask you to fill out a questionnaire about how your school operates. We'll then use our specialised content management system to tailor the policies and procedures for your school. The resulting documentation is published online in a customised, password protected website that your staff, board of trustees, and school community can access from anywhere. Our collaborative, online self-review system will help you keep track of what needs to be reviewed. Your policies and procedures will be monitored and regularly updated to comply with New Zealand legislation, ERO and Ministry of Education requirements, and to reflect the outcomes of policy reviews by schools. We'll send you regular emails with reminders about reviews and audits, upcoming changes, and other relevant information. If a new issue arises for schools, we'll draft a new policy or procedure and make it available to all SchoolDocs schools. How much does SchoolDocs cost? The initial set up is free and SchoolDocs then charges an annual subscription fee. Based on the average fee, SchoolDocs costs the same as just four relief teaching days per year. The annual subscription fee is determined by the roll size of your school. Prices effective from 1 August 2017. Paper-based documentation costs money – in photocopying, folders, surveys, and administration time controlling the documents – even if the board is writing the policies for free. Very often, the school is still not confident that their policies and procedures are up to date, accurate, and reflecting the latest requirements – and they can't be accessed online. If the principal or senior management are researching, word-smithing, and updating content, the cost is hard to estimate but, if done to a high standard, would be a minimum of 2–4 hours per month, or over $2,000 of a principal's time. One estimate is that the true cost to a school of performing these tasks is closer to $10,000 per year, taking into account the value of trustee, principal, and staff time, and printing and distribution costs. The costs of poorly considered and out-of-date policies and procedures may be even greater. By implementing SchoolDocs at your school, you are freeing the principal and senior management team to focus on leading learning, you are freeing trustees to focus on governance, and you are receiving a very robust, up-to-date, and widely reviewed set of online policies and procedures. Will our SchoolDocs site reflect our school? Many of a school’s policies and procedures are generic and driven by legal requirements and 'best practice'. They are not generally what define your school. It is the students, the school vision, the strategic plan, the teaching and learning, the curriculum plan, and the school community that reflect your school. 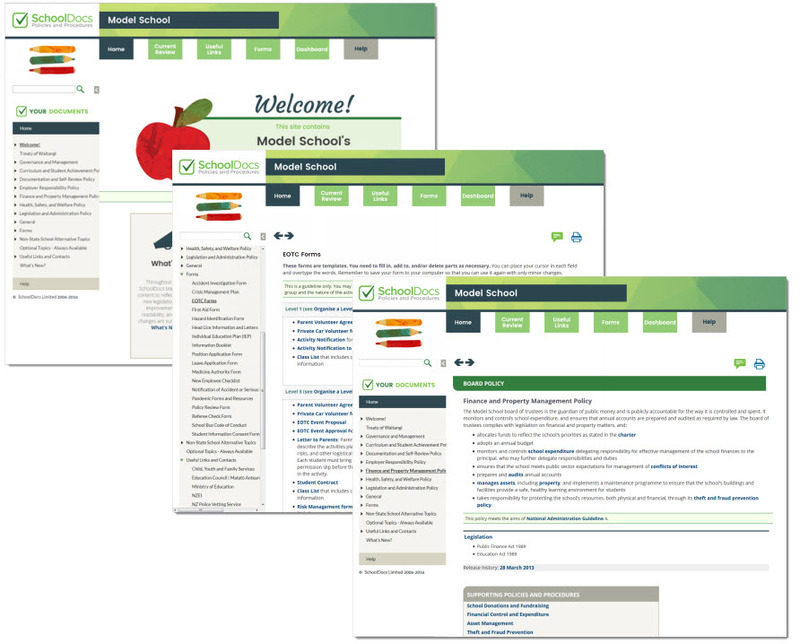 SchoolDocs provides you with a policy and procedure set which incorporates 'surface-level' school-specific features such as your school name and logo and also deeper features such as your school charter, curriculum plan, reporting procedures, and describes other special characteristics, such as Catholicism. Your school’s policies and procedures website is arranged with a table of contents organised into the National Administration Guidelines (NAGs). Each NAG has a front page which sets out the overarching policy and underneath sits the relevant policies and procedures. Someone in the school, usually the principal, fills in an online questionnaire which provides SchoolDocs with the necessary information to tailor your school’s site. (You can contact SchoolDocs and arrange to see the questionnaire before you sign up). 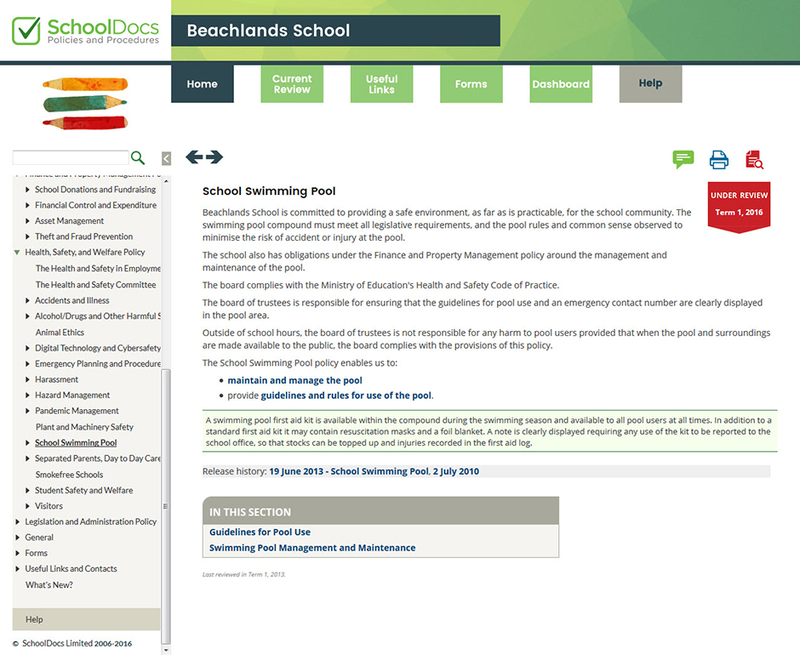 When SchoolDocs has tailored your site, the principal, board, and other key people in the school are given the opportunity to checks the content and liaise with SchoolDocs before it 'goes live' to the school community. 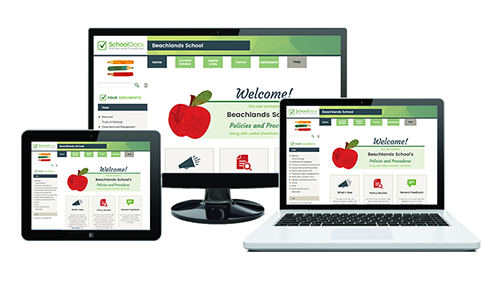 What does a SchoolDocs website look like? Your SchoolDocs site is easy to navigate, with a table of contents and a search. Each school has a unique user name and password and the site is accessible to the whole school community. Related documents are just a click away with hyperlinks to other topics, forms and relevant websites. To take a look at our Model Site, please contact our Business Relationship Manager for a user name and password. What does a SchoolDocs policy look like? The SchoolDocs content has been developed by educationalists and a specialist documentation services company. Content is kept up-to-date with regular reviews, trigger reviews, changes from new requirements, and other updates that the SchoolDocs team action after extensive research and in consultation with the school. Contact our Business Relationship Manager for access to the set of policies and procedures on our Model Site. How do we adopt our new set of SchoolDocs policies and procedures? The transition from a school’s existing set of policies and procedures to the SchoolDocs set is a process that occurs over a period of time. When SchoolDocs has prepared your school’s site, the principal is asked to review the special content before it goes live to the community. There are various other ways of engaging more fully with the content, for example, the Health and Safety committee could review the Heath and Safety content and the various committees of the board could engage with their particular section of the set. 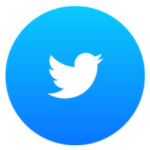 At some point the board may formally resolve to adopt their new set of policies and procedures, working on the basis that over the next three years content will all be reviewed and/or audited. The transition from our old and out of date system to SchoolDocs has been reasonably seamless. I appreciated the way in which the SchoolDocs team 'turned down' a request for an inclusion into our SchoolDocs as it would not have been best practice. There is security in knowing that SchoolDocs maintain best and safest practice for all parties.